Its ride time now for you, after your fasting right? Sorry cant join you, cos I will be out North on a ride. Hopefully we can meet up again for another ride with Encik. Enjoy your ride up North. Where will you be heading? Will be on the 3NCR. Encik has several nice short rides planned for the next few months. Come join us at BJTP tomorrow evening for drinks and TC Session, after 1930 hrs. At least, this time I wont feel like a monster enjoying my food, while you are fasting. I have been riding for since i got my licence in year 2002. But i have never bring my bike further then JB Caltex. Last entry to malaysia was years ago. But upon seening this forum, It have make me keen for a trip that i have never explore before. Therefore I seek your welcome to let me join you all for any nearby trip if possible. Currently i Own a Wave, which have intention to upgrade to Superfour soon. As we are new 2b riders to please do join us in exploring more interesting places in singapore, the next outing hopefully we'll go JB. has more than 1 million status. Organising a Last minute late night ride, those who are interested you can contact me through my hp and come for the night ride. why u like to start so many threads huh? cant u go to the 2B thread and invite people? The only reason why I'm not laughing with you is that I prefer laughing at you. Guys want come for the ride and supper pls feel free. halor newbie here, can I joint your trip but I go very slow. mai lai lar UNCLE LIM! Time: 5.30pm sharp we are setting OFF!!!! hey everyone, American-born expat here just getting settled down in Singapore. Bought a NSR SP recently to ride to school and back, but haven't had much time to explore any fun ride routes around Singapore. Please let me know when you all have your next group ride, I would love to join. I'm still getting used to the 150cc two-stroke, and I'm sure I can learn a lot from you guys (plus it'll be a great way to make some new friends). my email is BL2E_SF@yahoo.com Thanks! Anyone up for a ride tonight? Planning go Short ride to Malaysia on first weekend of July? Where u plan to go?? So if any one u guys interested to join me, pm me for a fast reply..
As said, suggestions are welcome on where we planning to go on tat day. 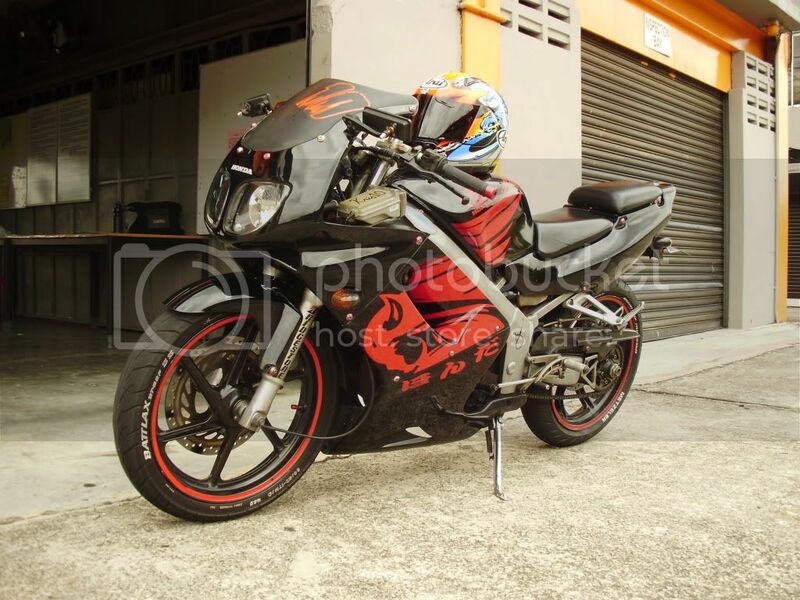 yo nabil..i'm a new rider.. and would like to join a joy-ride outing+makan etc.. when will you be organising another singapore round-island relak ride? Class 2B: Passed on the 27th of January 2011 (1st attempt). HONDA NSR 150 SP : 16/04/2011 - ?????? 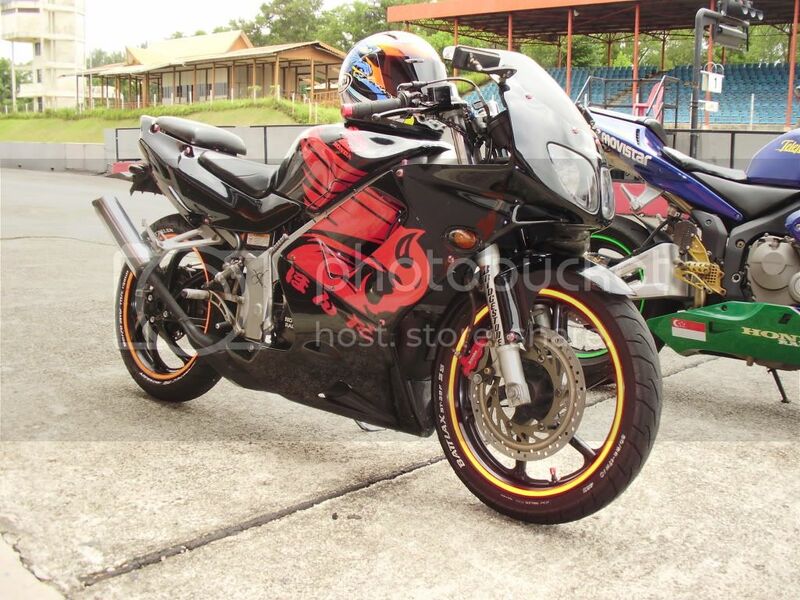 Anyone up for a ride Sunday morning...up north to Malaysia? I'm a cbr150r rider looking for riding buddies. For supper/knowledge exchange/petrol run in malaysia. Anybody interested can PM me. If there's nobody, we'll form our own groups. Thanks !